Taken off axis and shown for illustration purposes. 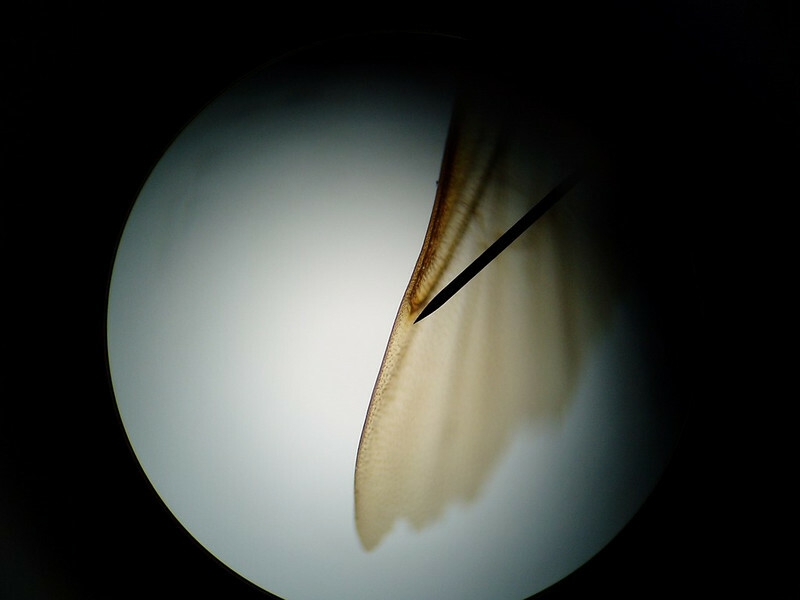 It shows the edge of the wing and was taken with the microscope's magnification of x 40 and the camera on the wide angle setting (about 35 or 38 mm in 35 mm film terms). The camera's macro setting was also used as the image was very near the lens.